My approach is to banish the myth that experimental poetry is impossible to read. 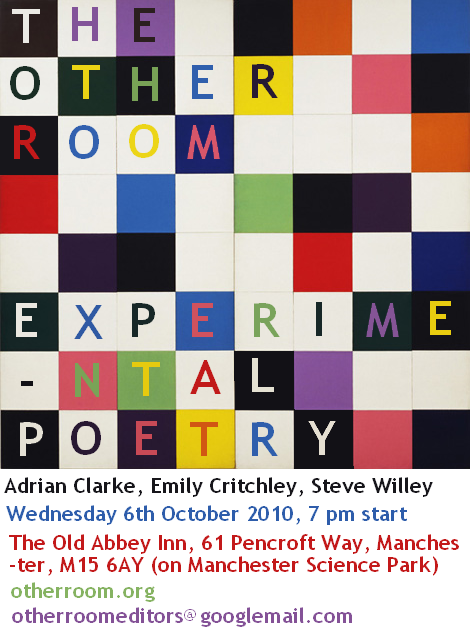 I think that being able to read experimental poetry is often seen as an elitist or privileged skill. But it’s not always like that: I don’t know how to fix a sink but I could do it if I did the training. It’s often a case of time or patience. I have an aim of presenting it as such, letting people know that. I’ve done a lot of bubblegum things to get people interested: promotional paraphernalia, wacky gifts, goofy blog speech, events. And I’m also in the business of telling people they don’t have to ‘understand’ a poem for it to be fun. I mean, I don’t understand an ice cream. I personally don’t understand a lot music I listen to but again I could do if I put in the work.